To customize this template after signing up, choose ‘Marketing Quiz’ as example when creating a new survey. The importance of marketing quizzes comes down to the importance of marketing itself. The point of a marketing quiz is to test your knowledge and teach you more about marketing which in turn makes you a better marketer or entrepreneur. At the heart of your business success lies a successful marketing strategy. That strategy includes but is not limited to public relations, promotions, brand awareness, sales and much more. You may produce the greatest products in the world, but if you don’t market it right, no one will know and you won’t sell a thing. This quiz will help you get you the knowledge on how to get your products out there! Why use Survey Anyplace as a Marketing Quiz Tool? Create automated follow-up emails with extra info, coupons or a personalized offer. Build, sculpt and craft your quizzes to take on every kind of situation. Awesome features like Offline Mode, Multiple Languages or Save and Continue will make your quiz creation feel like a dream. Engage and qualify your leads at the same time. 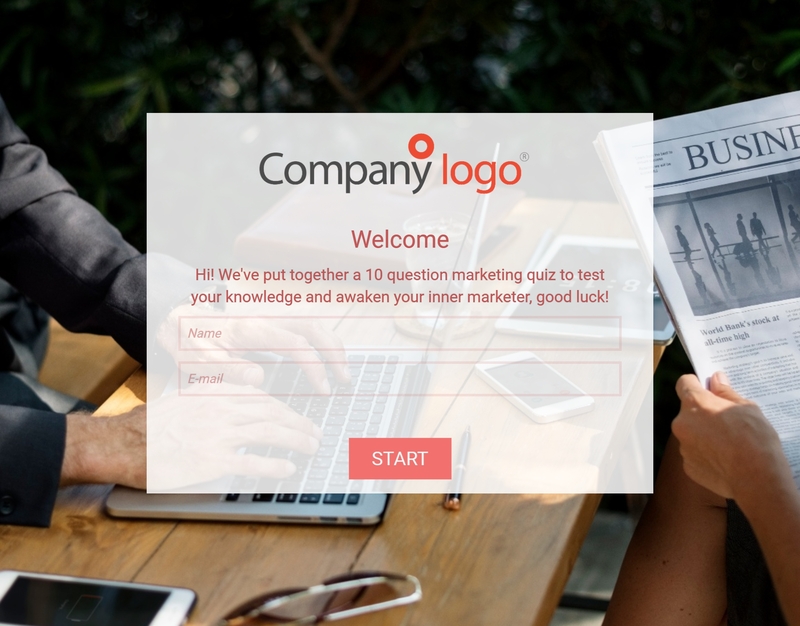 To use this sample Marketing Quiz, sign up for Survey Anyplace , and choose ‘Marketing Quiz’ as template when creating a new survey.